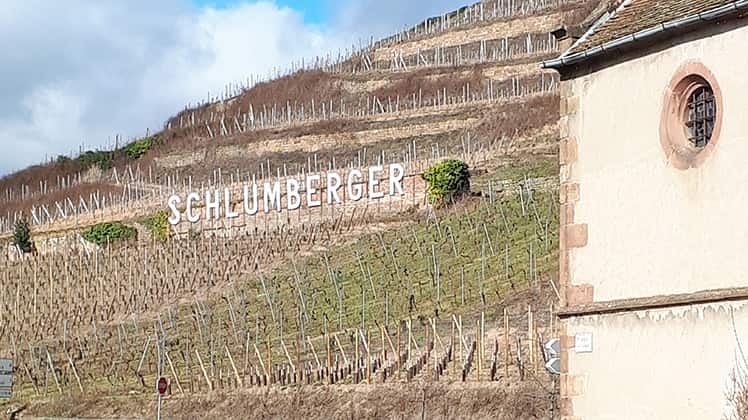 Our final day in Alsace involved a quick fly-by to Zind-Humbrecht and Kuentz-Bas to collect more samples followed by visits to the Cave de Turckheim co-operative and a new producer Domaine Zinck. 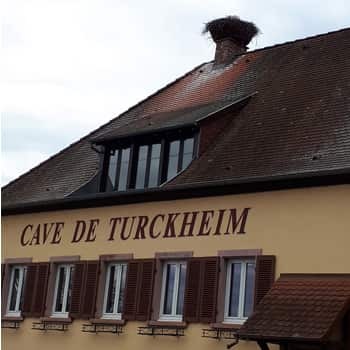 The Cave de Turckheim is one of Alsace’s (maybe even France’s) top co-ops. 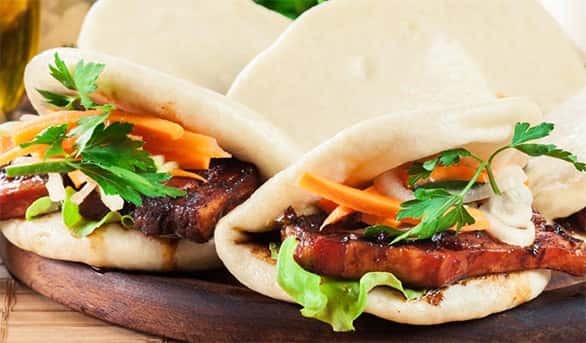 It is extremely well run and offers excellent value for money. It’s been going since 1955. 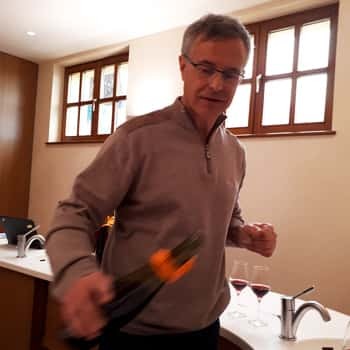 We get to meet Michel Lihrmann, head winemaker, who tells us he is in his ‘30th season’ here (and only the second winemaker since the co-op started!). More than 400 members make up the co-op and Michel knows them all. He’s ideally placed to give us great insights into the state of the current vintage. 2017 was a short crop, frost hit some growers badly and gewurztraminer in particular was most affected as it tends to flower earlier than other grapes. Michel said that temperatures had got down to as low as -6°C and lasted for four hours some mornings. 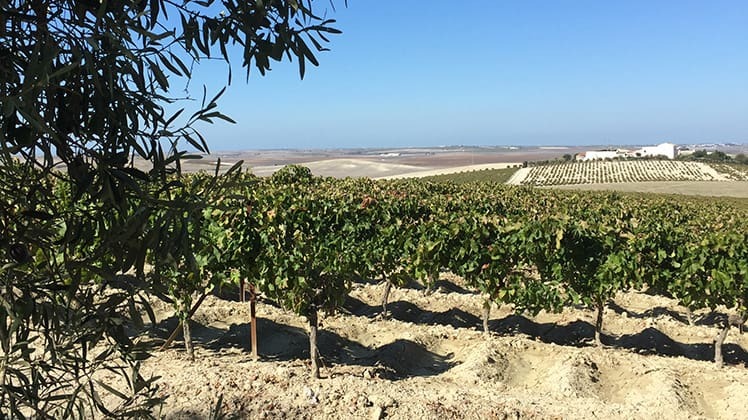 'These sorts of temperatures can kill the vine,' he told us. Then there were drought conditions in the summer which also wasn't great for aromatic grapes like gewurztraminer. This was not good news! The Cave de Turckheim gewurztraminer is a popular wine with members… perhaps we should order more of the 2016 while we still can! Michel is very pro organics (since 2011 they have a full range of organic wines here). He feels it's the best way to express the terroir. He says that it isn't so much a question of spraying and treatments but more about how you work the soil which is much more tricky if you have vines on steep slopes. 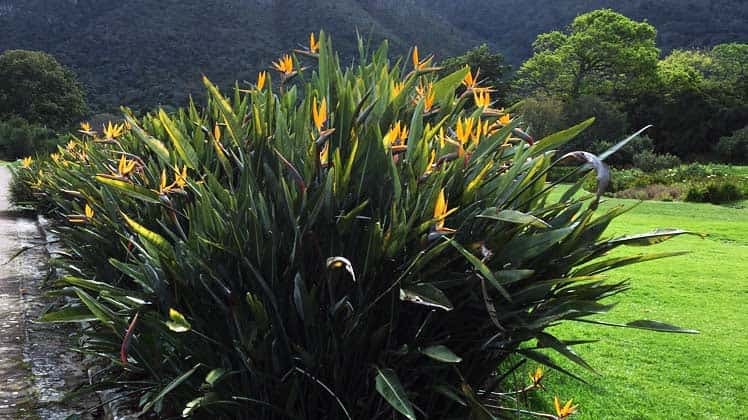 The whole estate needs to be worked organically if you're to have certification. 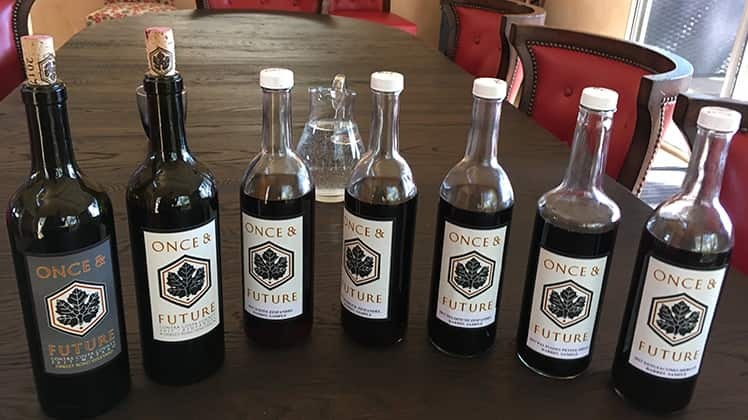 Jo and I tasted through a whole range of the co-op's wines including some early samples of the 2017 vintage, which were showing really well despite their troubled start in life. 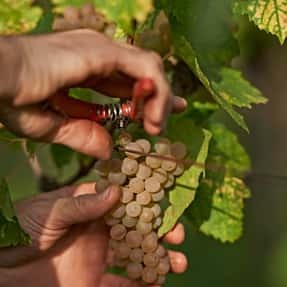 Lovely hints of baked apple in the pinot blancs, spicy stone-fruit and white blossom in the pinot gris and perfumed elegance in the gewurztraminers. The co-op also does some grand cru wines which represent excellent good value. 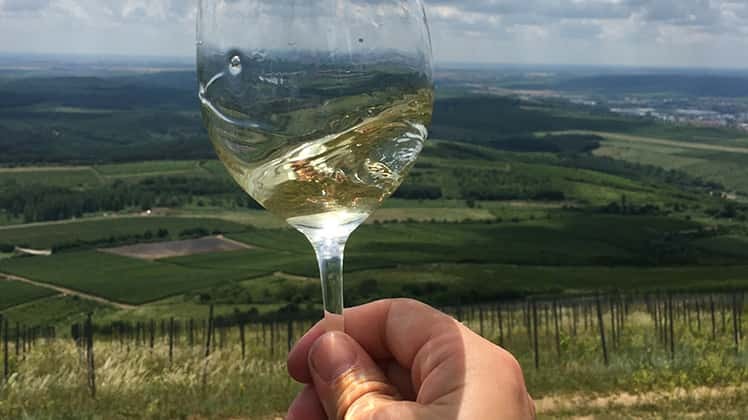 We were particularly taken with the 2013 Riesling Grand Cru Brand which we thought had a lovely expressive, stone-fruit character underpinned with some teasing minerality which really builds on the finish. 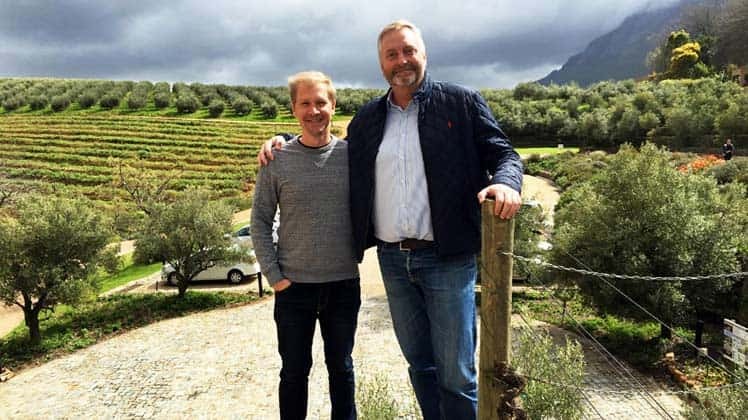 Michel explained that their grower members in the grands crus were paid the maximum amount for their fruit but only if they adhered to their strict rules with their vineyard work. Other members are still paid by quantity but on a sliding scale dependent on quality. Michel and his team spend a lot of time out in the vineyards with the growers. Just before we head off, Jo asked Michel who he rates as a winemaker (Michel is someone whose opinion you respect). Without hesitation he says that Albert Boxler is one of the best in the region. Lunch NOT at a Michelin restaurant! The least said about our lunchbreak before our next visit, the better. 'Alsace has more Michelin-starred restaurants than anywhere else in France,' is a phrase I have often seen (even, possibly, written). The bar where we got a quick bite is most definitely not such an establishment! 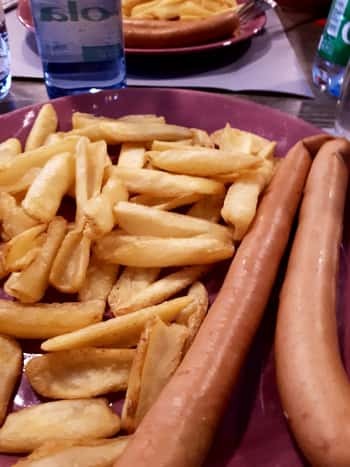 When we said that we only had 45 minutes to eat something, despite the fact that there were no other diners in the place, we were told (after much huffing and tutting) that they could only give us sausage and chips. My kids would have been in heaven! Jo had been wanting to call in on this new producer for a while. 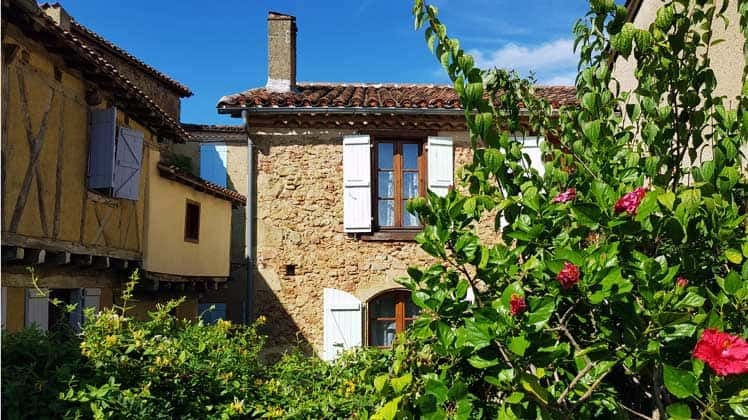 Marcel Orford-Williams, our previous buyer for Alsace for many years had said he'd be worth keeping an eye on, so off we went to his small winery in the village of Eguisheim. Philippe runs the estate with his wife Pascale, and his sister has a little restaurant next door. 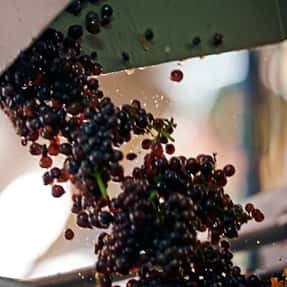 Philippe's father Paul set up the estate in 1964 with just 2.5 hectares though the family have farmed vineyards in the area for several generations. Philippe is quite open about what is involved in the vineyards: 'everyone has to spray their vines whether they're organic or biodynamic. Don't believe any winemakers that say they don't! The strategy with organics is to spray with a little copper sulphate every 10 days. It's about being preventative – you need to have a blanket or you will get a cold! 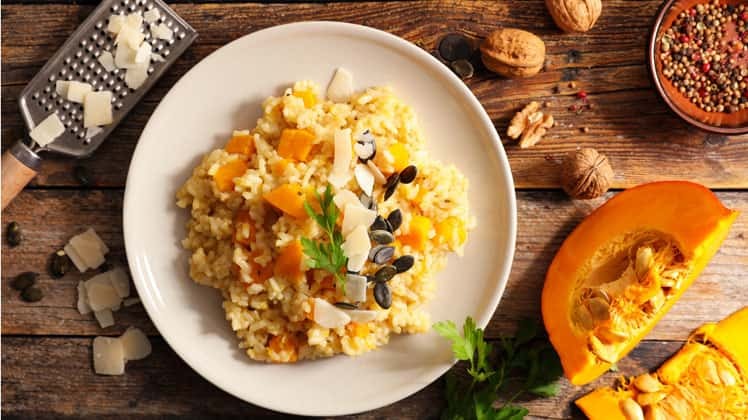 'On the other hand, biodynamics is all about concentrating on the health of the soil and giving it life so that you have healthier plants that can resist disease better in the first place,' he explains. 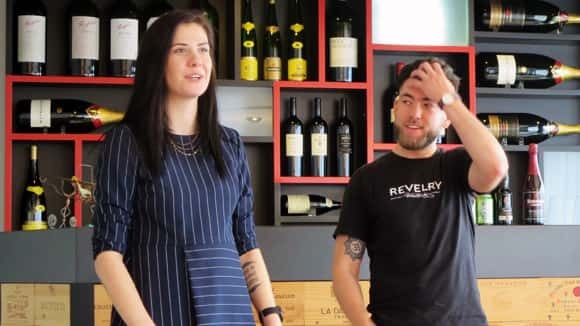 Like many producers in Alsace, Philippe is aiming for wines that are to go with food and are 'digestif' for sharing between two of you over a meal. Tasting his wines, they are certainly very pure tasting and linear. There are lovely aromas of white blossom and hints of lime leaf on flavours. He produces three levels of wines. Portrait from the lower slopes in the village where the soil is more silty and Terroir from the mid-slopes where there's more chalk and clay. 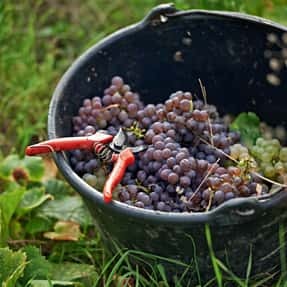 The top wines are the grand crus – Eichberg, Pfersigberg, Goldert and Rangen from the best parcels. 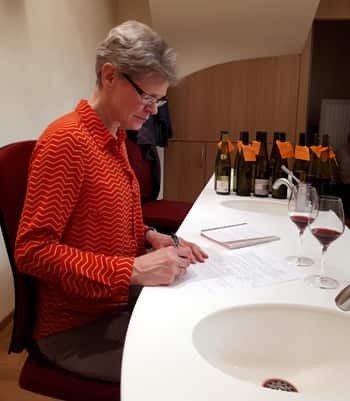 We were impressed both with Philippe and his wines and Jo hoped she could find a little corner of our Alsace listing to introduce at least one.